Step to Success: A step to your success is anything that moves your life and your business forward. Whether it’s an app, a book or an idea, you can apply something today that will help you succeed. Today’s step is the process of going over old notes that you’ve taken from business conferences, courses etc. Freestyle Flow: Sometimes you need to be instead of do. Feature Presentation: The word fear can be overwhelming to most as we all experience varying degrees of it. 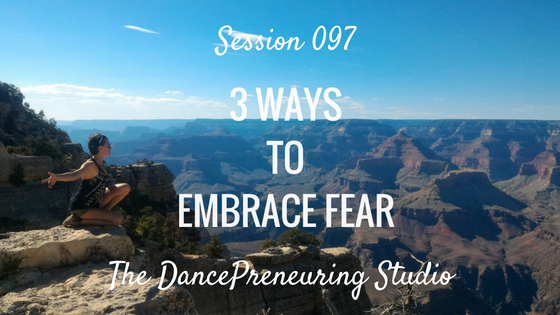 I share three simple acronyms that will help you embrace fear. Was also fun to go to that luscious patisserie as well! Have a wonderful holiday everyone.